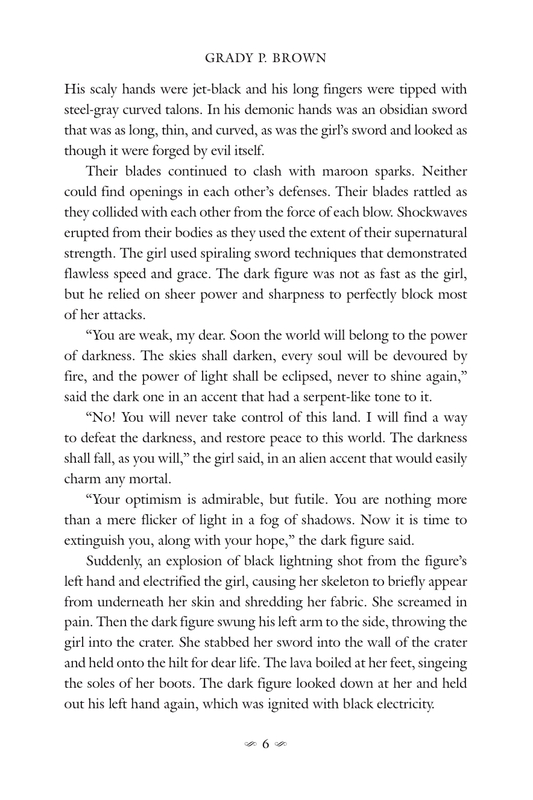 Here is a brief sample from my first book, The Young Guardians and the Genesis Spell. Enjoy! When I came up with the title of the book, I created based on the origins and features of the main characters. Since they were just teenagers, they are in the prime of their youth and they were using their powers to protect others like guardians. As for The Genesis Spell, genesis means the beginning of something. In this book’s case, I used the word Genesis to symbolize the end of the main characters’ old lives as mere mortals and the beginning of their new lives as superheroes. I had a book signing recently in Third Street Promenade in Santa Monica. 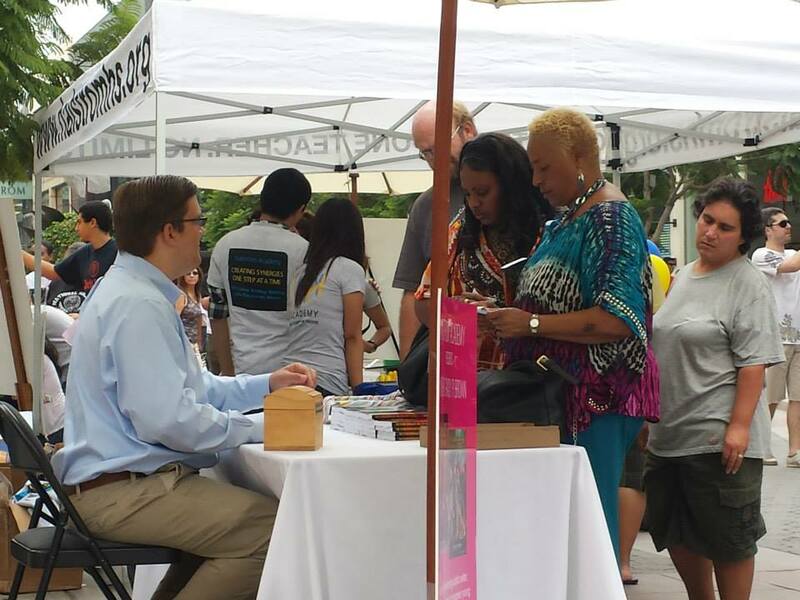 It was a lovely day and I got quite a crowd throughout the event. I was sponsored by the Halstrom Academy, which taught students who had disabilities like mine. After the book signing, the Halstrom Academy expressed interest in working with me again so I am currently on standby. Wish me luck! Fanoxean is the incarnation of what I consider to be the epitome of absolute evil. Not only is he the main villain in the second volume, but he plays a vital role in the entire series. He is responsible for Tinisha crossing over from her world into 21st century Earth, which also makes him indirectly responsible for the Young Guardians gaining their powers. As a being of pure evil, Fanoxean is a nihilist, believing that everything in the universe and all realities are meant to be destroyed. In addition, Fanoxean is one of the Young Guardians’ most powerful enemies and while fighting him, the Young Guardians are forced to confront their inner demons. I recently developed an interest in Attack on Titan and when I first watched the anime, I was caught off guard of how violent and dark it was. When I watched the titans devouring human beings like Snickers bars, I had an epiphany. Being devoured by a monster that is apparently inhuman, such as the xenomorphs in Ridley Scott’s Alien, is gentle. What is truly frightening is being devoured by a monster that has a human likeness, such as the titans. I watched the entire first season of the anime and started reading the manga and despite the dark atmosphere I thoroughly enjoyed it. I loved the revelations of the ever-mysterious nature of the titans, such as the titan shifters. In addition, I liked the realistic reaction human beings would have when they face an enemy that they cannot understand or defeat. The opening sequence to the first story arc of the anime is one of my favorite anime openings due to its fast-pacing lyrics and epic tone. I would recommend this anime to anyone who is searching for a story that keeps you constantly guessing on what will happen next. WHAT MAKES A GOOD SUPERHERO TEAM? As I write, I often wonder what qualities make a great superhero team. Every member of this team is unique in their own way and fights for their crusade against evil for their own reasons. When creating Patrick, I wanted to create a character who always wants to do the right thing and is motivated to fight evil, but at the same time is conflicted by his own inner darkness as he struggles to gain redemption. With Tinisha, I sought to produce a character that was highly experienced, but also hungry for knew experiences as well as have an intimate knowledge of the inner workings between darkness and light. Joshua was the type of superhero who always wants to see evil punished in the end no matter the cost and his short temper makes him ferocious in battle. As for Derek, I wanted to create an intelligent superhero who is an excellent problem-solver, but is basically the kind of person is along for the ride. Gregory is an individual who has strong empathy towards those around him and fights evil for the sake of everyone he encounters. With these characters and their unique traits, I was able to create a group of characters who are all compelled to confront the forces of darkness and have to work together in order to reach their common goal.